Happy Weekend! This week has been filled with all things summer. Grilling out, iced coffee, and trips to the farmer’s market were all highlights for me. 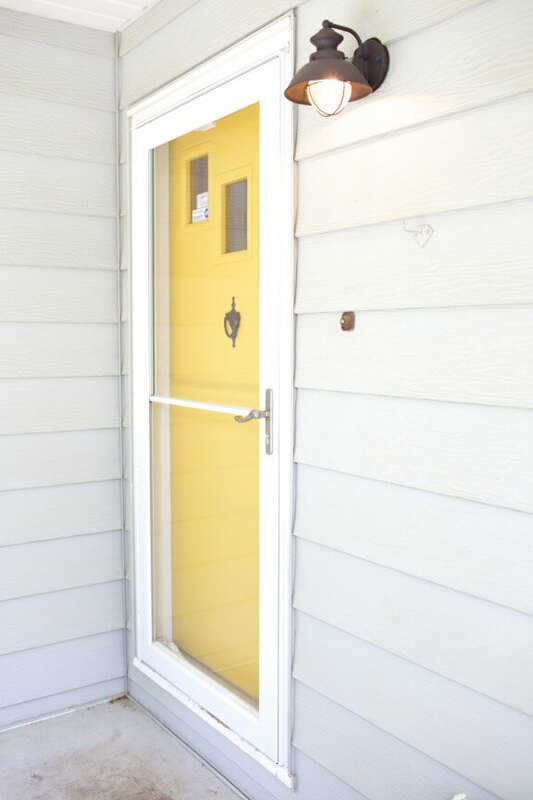 As you can see, my front door is a happy and beautiful yellow. (Thanks, Husband, for letting me paint it!) But it was in serious need of some decor. 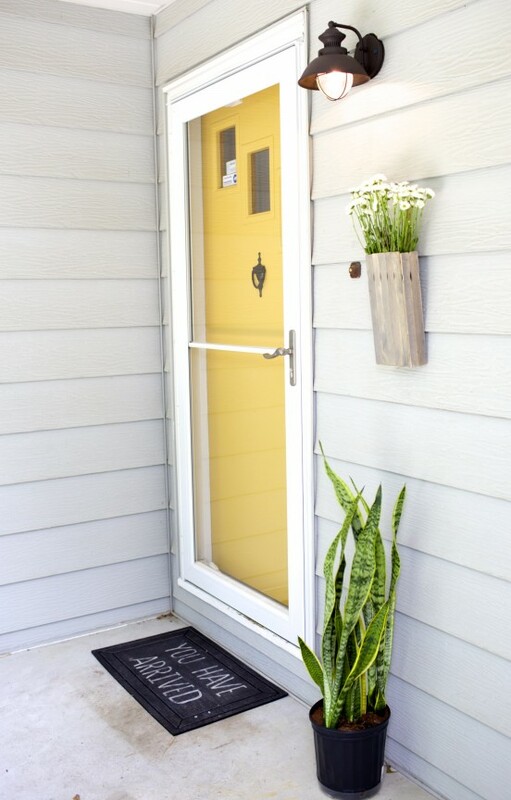 Enter…the idea for this simple flower box. As you can see, it’s neutral and classic and very easy to customize with your favorite colors and/or flowers. Here’s how to make it! 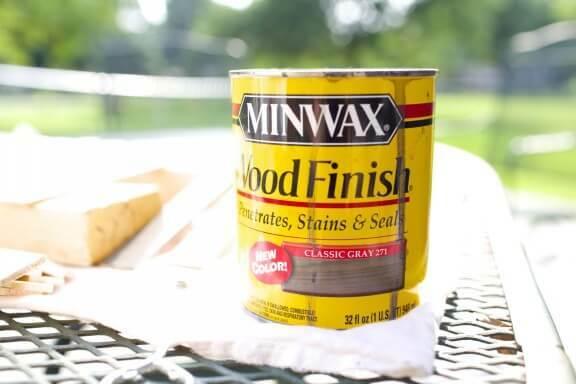 Stain all your paint sticks using the gray stain. Let them dry before touching them. 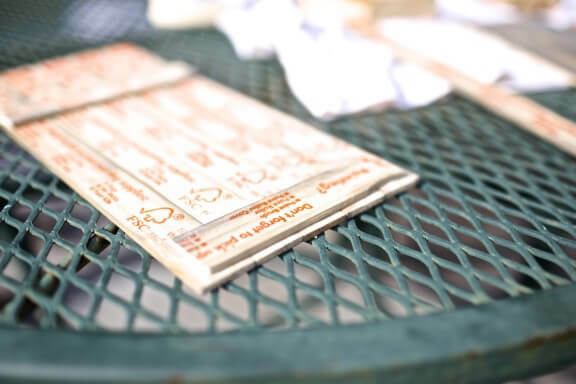 Lay five sticks together to create the front of your box and five to create the back. 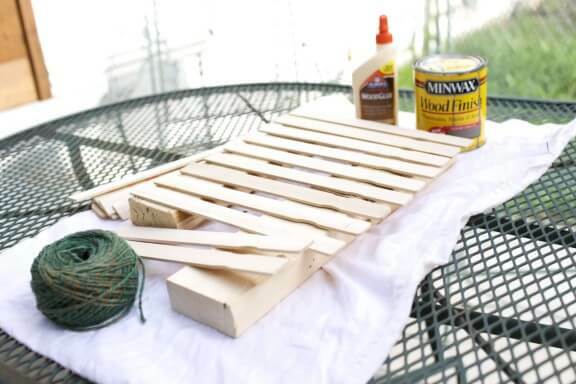 Cut a paint stick to brace together the two sets of paint sticks. 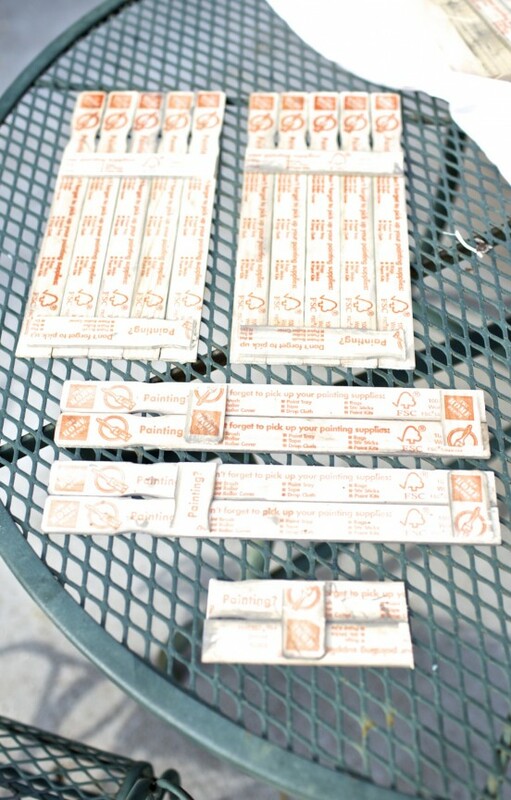 Using wood glue, adhere the cut paint stick brace to the 5 paint sticks. You will use one brace at the top of the grouping and one at the bottom. See photo below for direction. 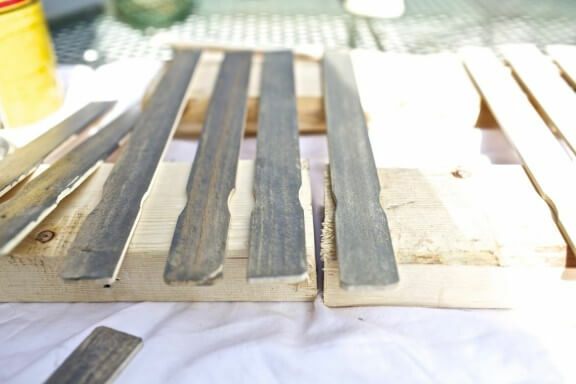 Glue the braces to the paint sticks with your wood glue and allow them to dry completely. Make sure to leave a lip on each side of your paint sticks (you will be needing that extra space to put the box together in the end. You will do the same with the two side pieces of the box. I used two paint sticks to make it a pretty shallow box since it was going to be hanging right onto the wall. For the bottom of the box I just cut my paint stick in half making sure it was the length of the box itself. 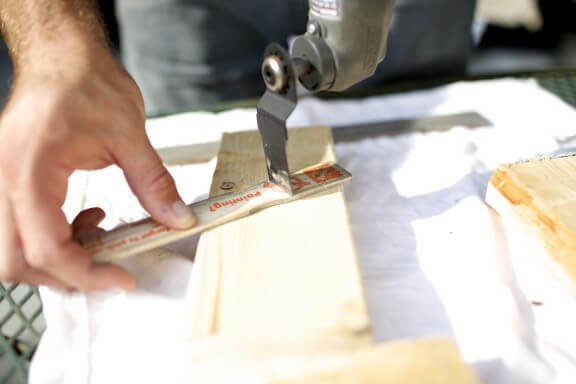 Once all pieces are cut, dried and braced you can begin to assemble your box! 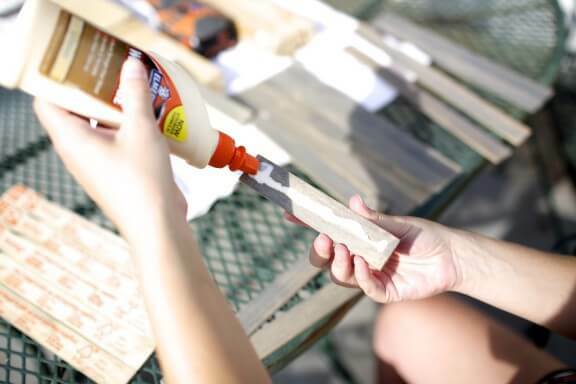 Using the wood glue once again, glue each piece together to create a simple box. If you feel the need for a stronger bond you could use some tack nails or metal brackets. Mine is strictly for decor and will not be holding much weight at once, so the wood glue works. 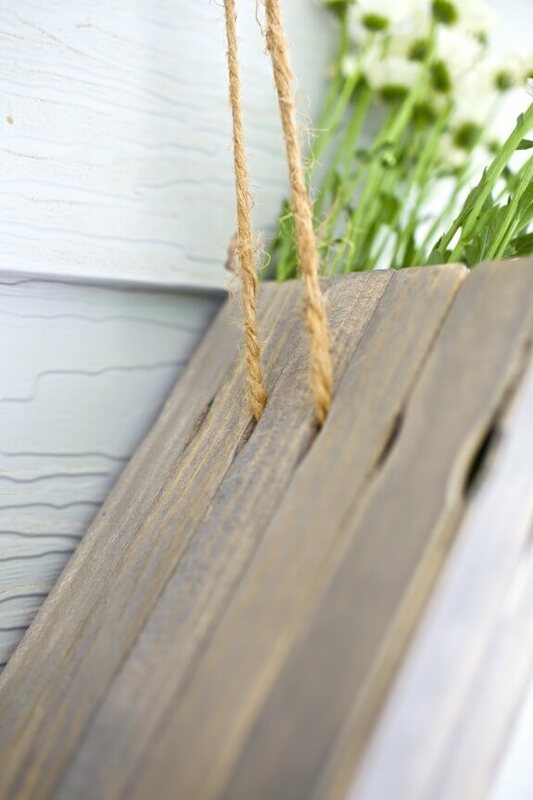 Once your box is dry and assembled take a piece of jute yarn and string it through the back of the box as a hanger. Add your flowers and you are done! 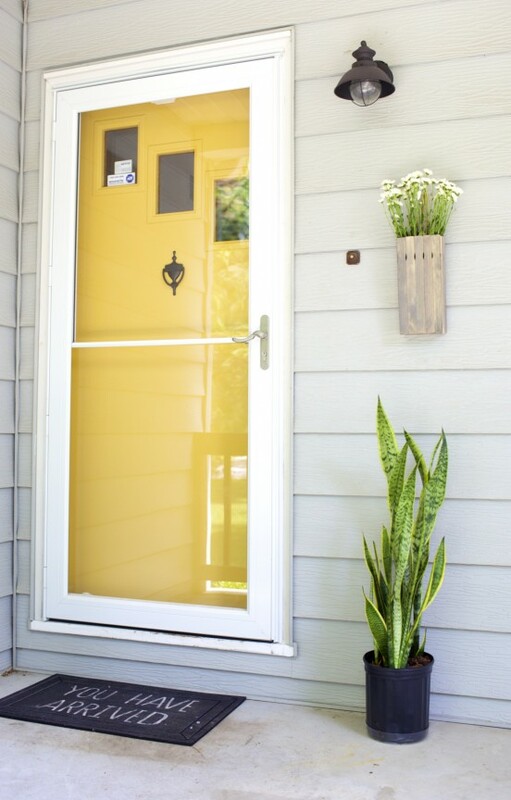 LOVE that door!! And the window box looks so, so good! Wonderful and Clever! Can’t wait to show this idea to friends. Nice post. I love it very much for making this door as beautiful as we can’t. Amazing! 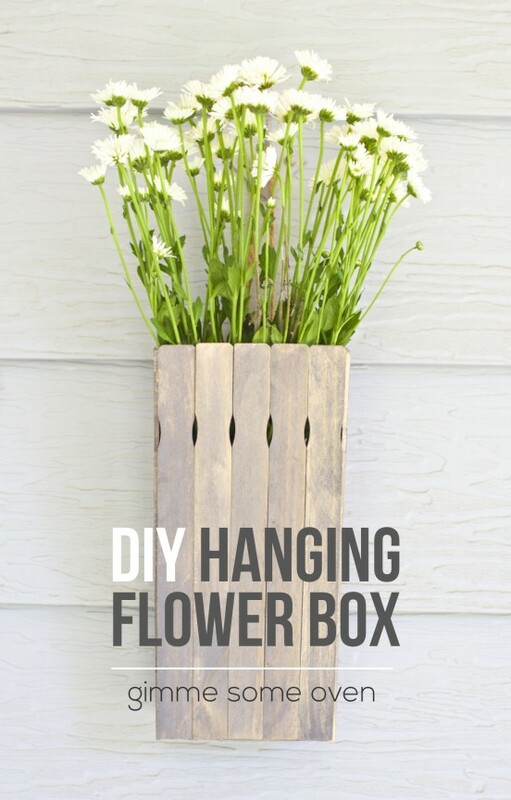 The hanging flower box looks so cute! 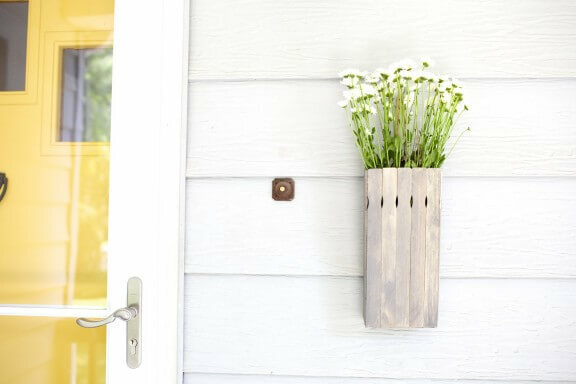 Love this DIY products. So simple and charming! 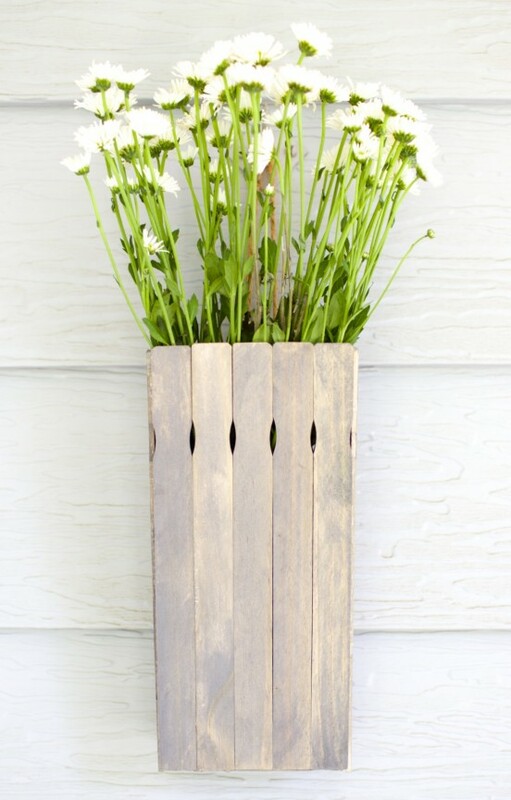 I love this idea for some extra outdoor decoration! Thanks Liz, Really wonderful to watch. 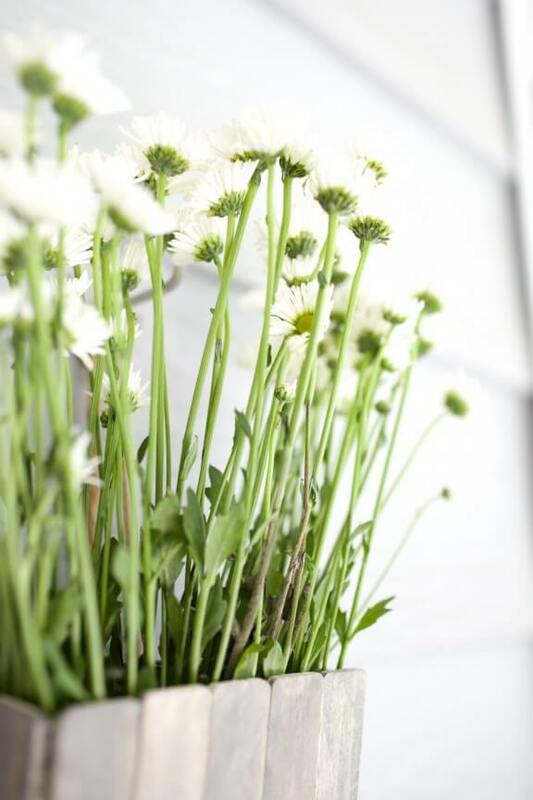 Classically elegant flower box and easy to make.